Developing smaller devices isn’t light years away; now that the world’s smallest Nano chip is unveiled. 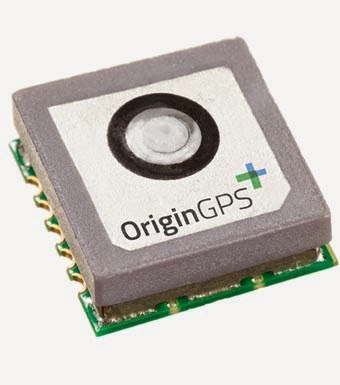 At only 4x4x2.1mm, the OriginGPS Nano Spider is now the smallest fully integrated GPS receiver in the world. OriginGPS, a leading Israeli chip specialist, unveiled this week the Nano Spider, which is smaller than a pencil lead. This new technology will open up new roads towards developing smaller devices. This device is 75 percent smaller than the company’s previous effort on small devices – the OriginGPS Micro Spider. Nano Spider is designed to supports very compact applications where size is key like smart watches, trackers, digital cameras, and wearable devices. This is a fully integrated and very sensitive GPS receiver module that is very small. It has a proprietary structure that is a double-sided circuit allowing surface mounting to reduce footprint size. This technology continuously tracks every GPS satellite, providing real-time positioning data using the standard industry format, according to US National Marine Electronics Association (NMEA) standards. Nano Spider has low noise amplifiers, temperature controlled crystal oscillator, surface acoustic wave, a real time clock, radio frequency shielding, and a power management unit. This technology provides accuracy in one meter, it can attain rapid time to first fix (TTFF) in under one second and it can achieve a tracking sensitivity of 163dBm. It has capability for continuous connectivity with minimal power consumption and it has improved marginal signal conditions. Smaller Nano chip means smaller wearable tech devices. Fashionable wearable techs for women are usually smaller devices. By reducing the Nano chip’s sizes, these smaller fashionable tech devices for women would be made possible. Smaller Nano chips could allow manufacturers to put GPS into devices like smartwatches and fitness trackers and other Android Wear devices. The OriginGPS Nano Spider is a game changer in the wearable tech industry, according to one the company’s executive. This new technology will play a key role in hastening the adoption of location technologies like cameras and wearable devices, according to David Borison, senior director of Location Product Marketing at CSR, which is the Cambridge based company OriginGPS is working with. Manufacturers have been figuring out how to minimise the size of the embedded Global Navigation Satellite System (GNSS) module without affecting the efficiency, power consumption, performance, and sensitivity of the product. Borison said, OriginGPS was able to address this issue. Nnao Spider is bringing the Wearable Devices industry to a whole new era by continually shrinking the GPS receiver, while balancing it with high-performance power. According to Gai Jacobi of OriginGPS, Nano Spider signals a new era, since the wearable tech trend needs components that can provide high-performance power consumption even if it has a very small size. OriginGPS continues to decrease the size of components, while improving the features to allow location functionality in every device, he said. GPS is very important in accurately tracking location. Smartwatches and sensors that have built-in GPS connectivity, like Sony SmartWatch 3 and Microsoft Band are the best when it comes to run tracking.